The connection can be made faster and easier. 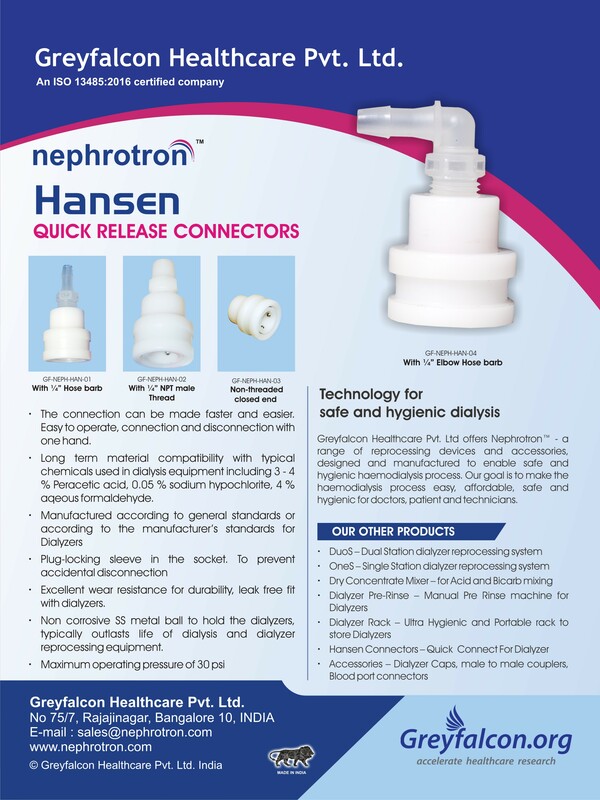 Long term material compatibility with typical chemicals used in dialysis equipment including 3 - 4 % Peracetic acid, 0.05 % sodium hypochlorite, 4 % aqueous formaldehyde. 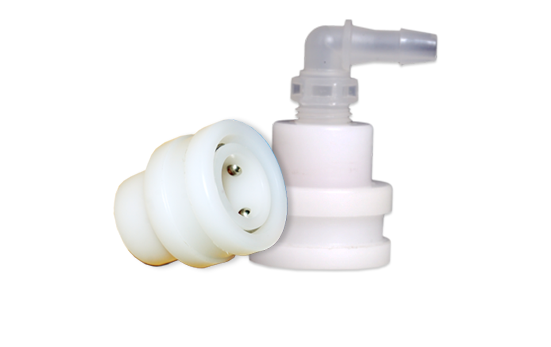 Manufactured according to general standards to fit any standard dialyzer.